Manufacturer of pendulums of all sizes. Your on-line store for wholesale and retail pendulums for dousing, hypnosis, and forensics. This web site is about using pendulums and how to use pendulums for pendulum dousing and all sorts of applications. Pendulums also make perfect trade show promotional items. The Pendulum Warehouse --your wholesale pendulum source. Manufacturer of clear pendulums, colored pendulums, and innovative handsome desk sets for making executive decisions. Click on the desired product to go its wholesale gifts on-line store. How to use. It's easy, just drape the pendulum from your forefinger and hold it over a chart, food, or something that you are testing. Ask questions of yourself and watch the pendulum move. How it works. Tiny muscles in your finger tips connect direct to your brain causing the pendulum to move, as if by magic. This is known as the ideomotor response. 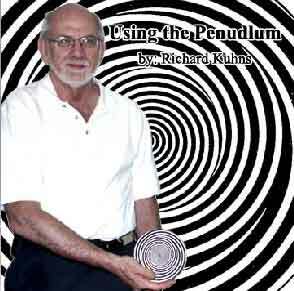 For instructions on how to use pendulums, dousing and more click here. Wholesale pendulums as wholesale gifts! International customers will be apprised of additional shipping charges (if any) before processing of order. Example: order a dozen 1" clear pendulums w copper chain at $2.99 each. You can add 1-2" pendulum w silver chain to your order for just $8.30 or as many other sizes or colors that you wish at their respective discount pricing. When you pay with paypal, in the note section, simply list the additional items you are ordering. You will be sent a paypal invoice for the additional items at wholesale pricing. No additional charge for shipping if paid for before your main order is shipped. All pendulums are made of acrylic. A special manufacturing technique keeps the ball from separating from the pin which attaches the ball to the a sturdy knurled chain resulting in the highest quality of manufacture. Chain is made of steel with either copper or rhodium plated unsoldered knurl link and is a minimum of 9" length for 1" pendulum. .